Criminal profiler Steve Daniels delivers an additional profiling theory in the battle against violent crime with "Gazing into the Abyss"
Daniels advances the notion that current classification models fall short of the reality faced by law enforcement and prosecutors, offering an additional profiling tool in the battle against violent crime. Law enforcement professionals and criminologists long have been challenged to arrive at a consensus over the most accurate ways to classify serial killers. With predators as diverse as the lesser-known William Zamastil to slick con artists such as Ted Bundy, one description certainly does not fit all when it comes to grouping the depraved minds that comprise America's most prolific murderers. 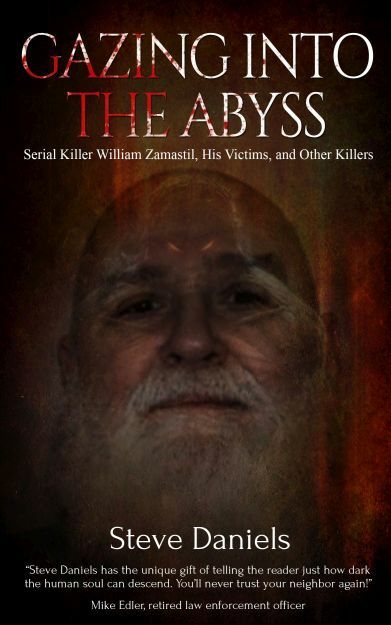 "Gazing into the Abyss: Serial Killer William Zamastil, the Victims, and Other Killers," is available on Amazon in paperback and digital formats at https://amzn.to/2StgAZN. Steve Daniels retired after twenty-six years in the criminal justice system, the last twelve as a high-risk parole agent working with extremely violent and dangerous offenders. During that career, Steve and a colleague interviewed and researched nearly 200 murderers in an effort to develop a working profile for criminal justice professionals. He is a charter member and has served multiple terms on the board of directors of the Cold Case Review Team for the Wisconsin Association of Homicide Investigators, assisting agencies with old, unsolved homicides. Experts have praise for "Gazing into the Abyss"
"Steve Daniels has the unique gift of telling the reader just how dark the human soul can descend. You'll never trust your neighbor again!" "Whether you are a novice of the homicide literature or an expert yourself, this book offers something for readers at all levels of homicide knowledge." "Steve Daniels draws on his expertise and years of experience to provide a stunning insight and in-depth look into serial killers and their victims. His unique perspective and assessment of the serial killer is brilliant." "Steve Daniels's influence on the fields of homicide prevention and research, investigative training, and criminal profiling cannot be overlooked. As one of his former students, I can personally attest to the incredible accomplishment it is to learn from truly one of the most original and admired profilers of our time. About M&B Global Solutions Inc.
M&B Global Solutions Inc. is a Green Bay, Wisconsin-based company that offers author coaching, editing and comprehensive book publishing services, including online and offline marketing, video production, and website design. : M&B Global Solutions Inc.